One could be forgiven for thinking that El Tri‘s game against the United States on Tuesday could be seen as something more than simply a preparation match. 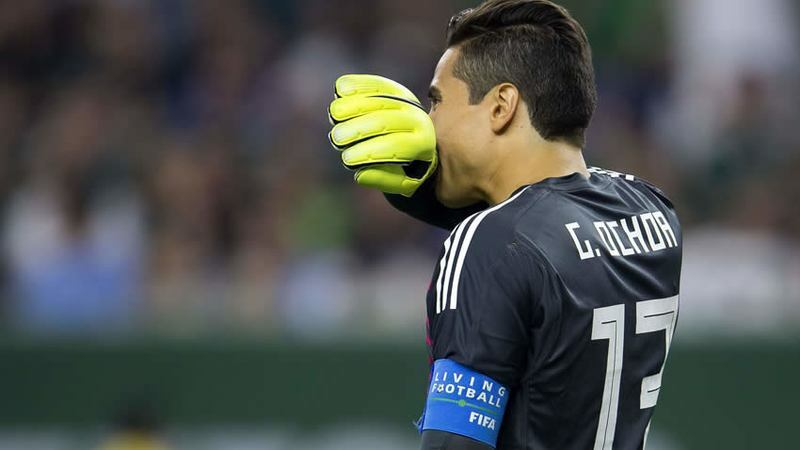 After all, the Stars and Stripes remain El Tri‘s chief nemesis in CONCACAF. The match takes place on a day that often calls to the patriotic emotions of many fans of the Stars and Stripes. And there are still historical hostilities and mistreatments directed by citizens of one (United States) against the other (Mexico), which can amplify the resentment and hatred of any match between the two bordering nations. But at the same time, both selections share a lot in common. Both teams are without a permanent manager and could be without one until the end of the calendar year and not suffer much in terms of their preparations for not just the 2022 FIFA World Cup, but also their continental competitions–the 2019 Copa Oro and the 2019-2020 CONCACAF Nations League. Both teams also happened to be handed significant defeats in their first friendlies of the new cycle. While El Tri were blistered 4-1 by Uruguay, the Stars and Stripes lost 2-0 to Brazil in a game where where the 2-0 undersold the Canarinhas‘ dominance and superiority in all facets of the game. Both teams will also go into Tuesday’s friendly slightly shorthanded. 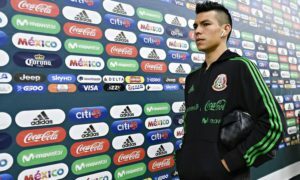 El Tri saw the likes of Hirving Lozano, Erick Gutierrez, Raul Jimenez, and Guillermo Ochoa depart the side on Saturday to return to their club teams and lost Orbelin Pineda’s services on Monday due to an injury he picked up during training. As for the Stars and Stripes, Wolfsburg central defender John Brooks also left his selection’s camp early to rejoin his club team. 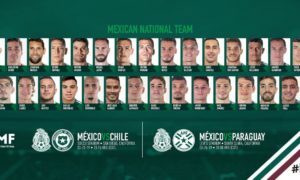 Although the Stars and Stripes may have lost a key central defender, and are much less likely to look to hurt El Tri than Uruguay did at any point in the game, El Tri will be starting a debutant goalkeeper–either Necaxa arquero Hugo Gonzalez or Tijuana portero Gibran Lajud–who might be an unknown commodity with regards to stopping the dangerous chances the USA’s attacks may find. Despite not featuring injured winger Christian Pulisic, whose face was still plastered on many advertisements ahead of the match despite his injury, the Stars and Stripes can still hurt El Tri if the defending players fail to close down the spaces for such an attack at the right times. 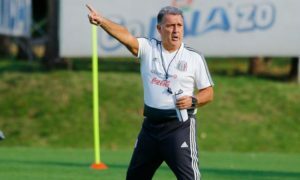 And without ‘Chucky’, Gutierrez, and Orbelin Pineda, El Tri loses three of its primary conductors and drivers on the attack who could do so from either the wings or through the central channels. More of that spotlight will shine on Diego Lainez and Roberto Alvarado, who showed their brilliance at some points during the match against Uruguay, but they could be broken from their defensive duties as well and become the players at which the Stars and Stripes could look to press and take advantage of to try to generate goalscoring chances and goals. And Alan Pulido, still the all-time record Liga MX signing, and Angel Zaldivar, hardly close to the orbit of El Tri‘s strike pool in the last cycle, will have a chance to show that they can at least factor into the team’s plans when their primary strike corps is unavailable. Zaldivar, statistically, has had the brighter start to the Apertura in league play with four goals in eight games. But he can play in positions that often overlap with the likes of Roberto Alvarado and Elias Hernandez, which could either make him used unpredictably with either player or completely redundant to both players depending on the opinion and decision philosophy of the manager (when he is a permanent manager). If there is something to which El Tri fans can cling, it is that El Tri has not lost to the United States in three matches in all competitions and that Ricardo Ferretti, the caretaker manager at this point, engineered El Tri‘s trip to the 2017 Confederations Cup with a defeat of the United States back in 2015, the last time he took charge of the national team. How the pieces of the puzzle could fit together against the United States will be better known at 8:30 PM Eastern DST (UTC -4), when the match coverage kicks off. The match can be seen on ESPN, Univision, and Univision Deportes.